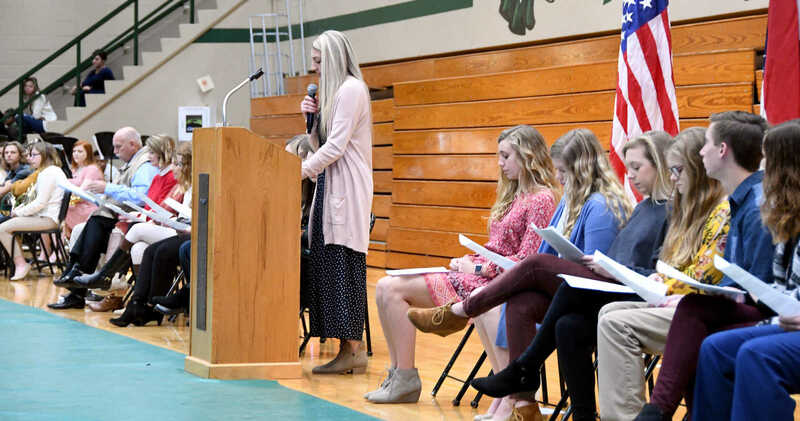 The New Madrid County Central High School National Honor Society hosted a Veterans Day program for current and retired members of the military. The program featured the high school band and choir along with guest speaker retired Army Capt. Webb Manley. Manley spoke about what it means to be a veteran. 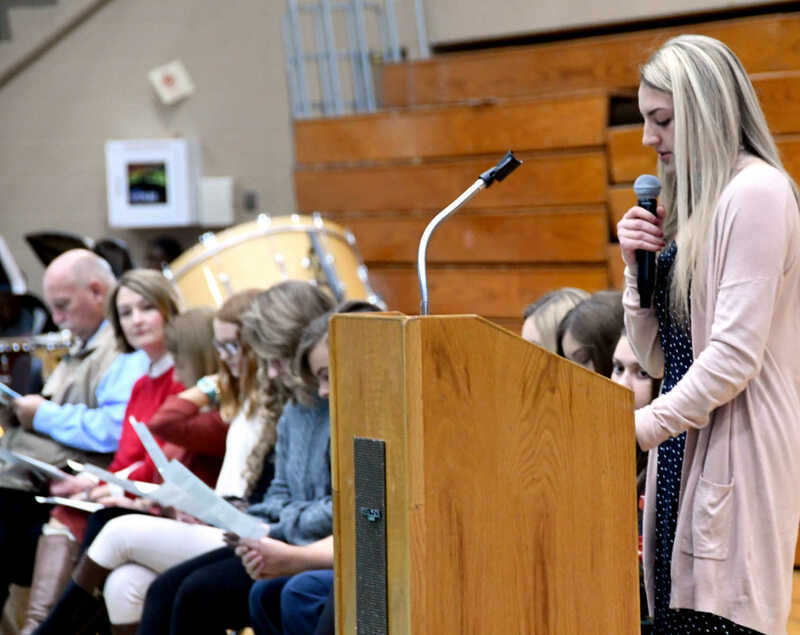 Emma Mitchem, New Madrid County Central High School National Honor Society president, leads the invocation during the high school's Veteran's Day program on Monday. 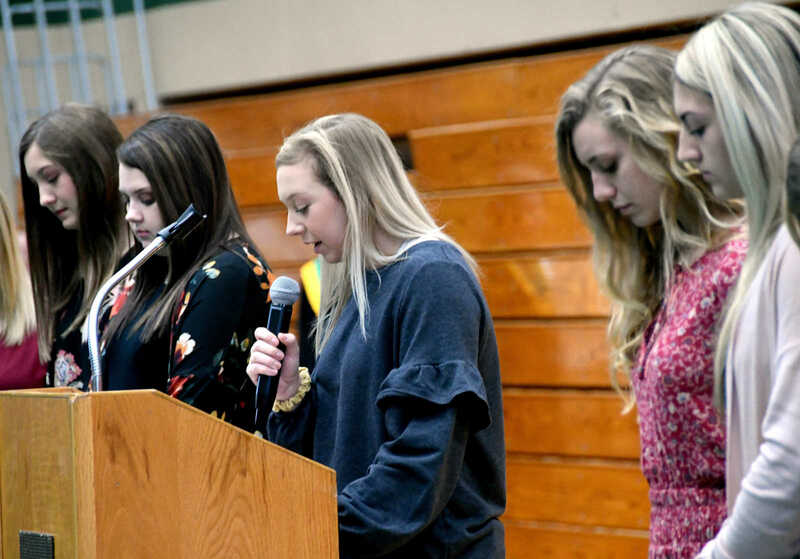 The members of the National Honor Society at New Madrid County Central High School hosted a Veterans Day program for local veterans. The program included performances by the high school band and choir and a speech by Webb Manley, a local veteran. 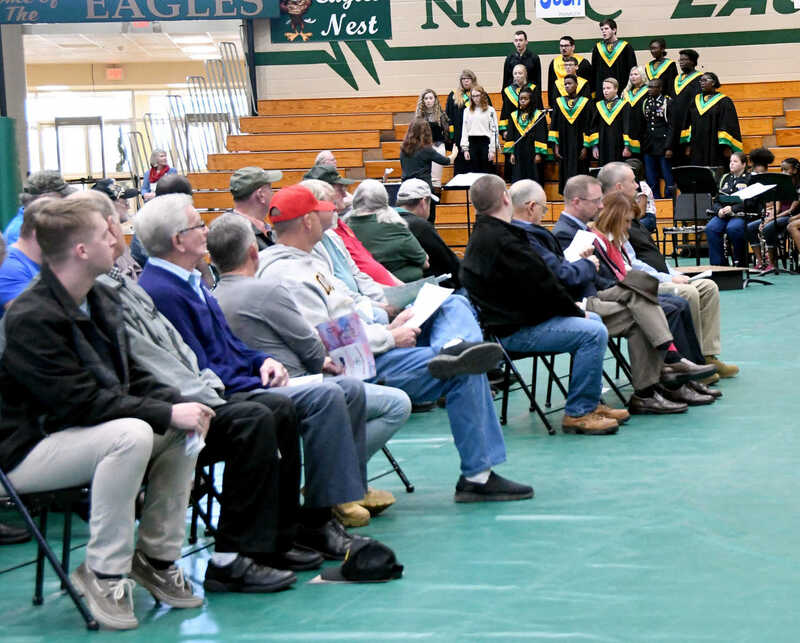 Sara Broyles addresses veterans and members of the student body during the Veterans Day program at New Madrid County Central High School on Monday. 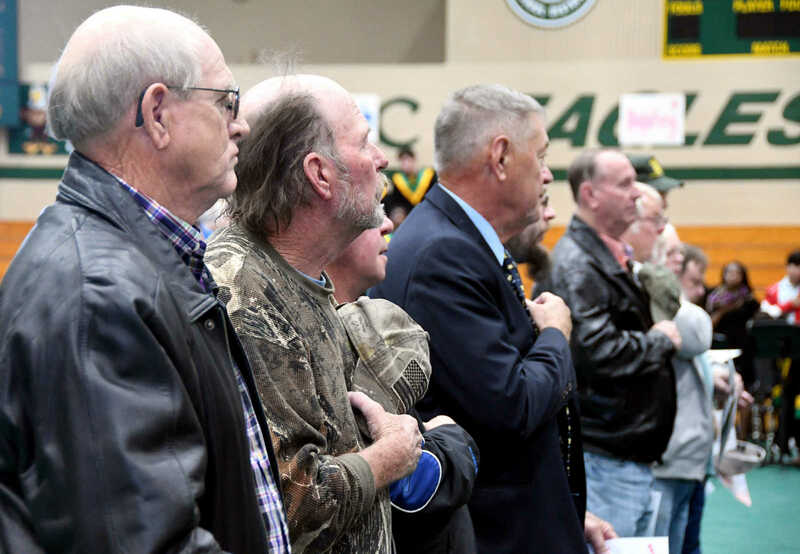 Military veterans were the special guests at New Madrid County Central High School on Monday. 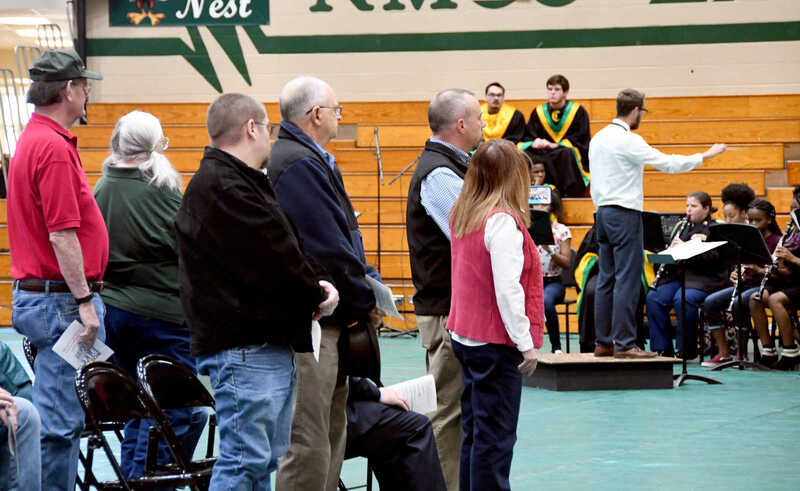 Harvey Graham was escorted to his seat by a member of the school's National Honor Society as his name was read by retired Lt. Col. Rick Sherman. 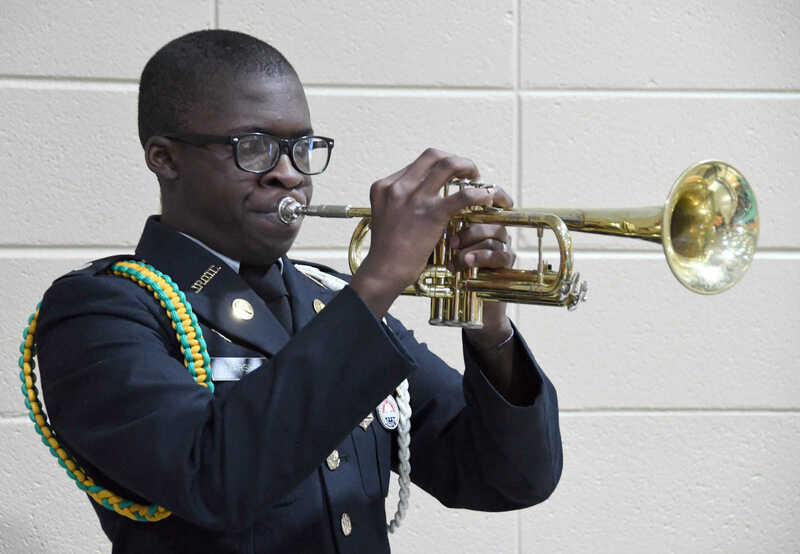 Ke'Andre Marsh, a student at New Madrid County Central High School, performs "Taps" at the close of the school's Veterans Day ceremony. Retired Army Capt. 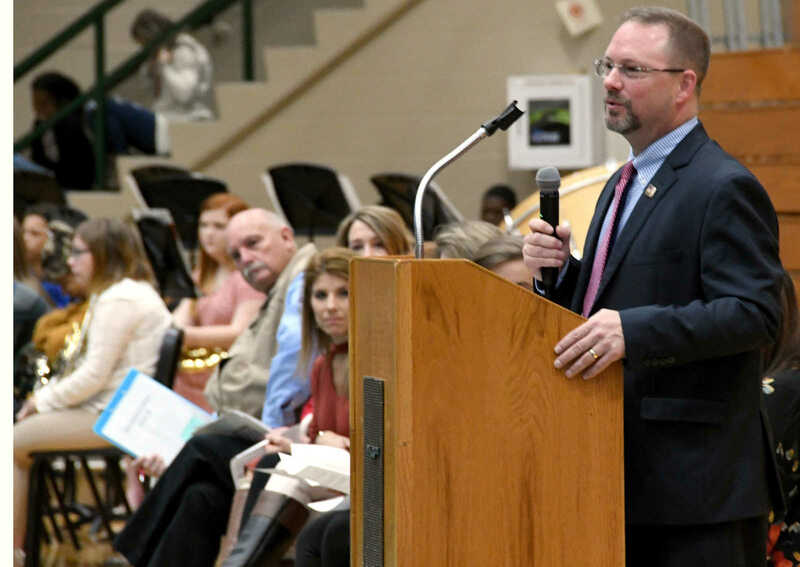 Webb Manley was the guest speaker for the New Madrid County Central High School's Veterans Day ceremony. Manley, a graduate of NMCC, attended the U.S. Military Academy at West Point and spent five years in the service. 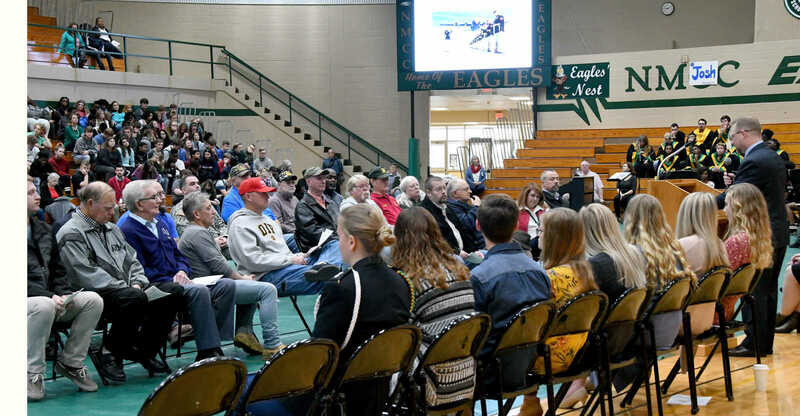 Veterans listen as the members of the New Madrid County Central High School Singing Eagles perform "Nine Hundred Miles." 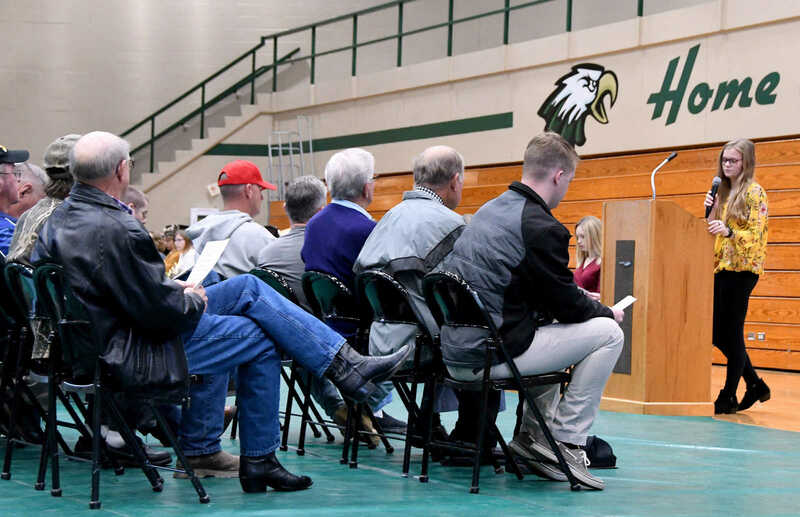 The high school students honored the veterans during a special ceremony Monday morning at the high school. Former members of the U.S. Navy stand as the New Madrid County Central High School band performs "Armed Forces - The Pride of America." 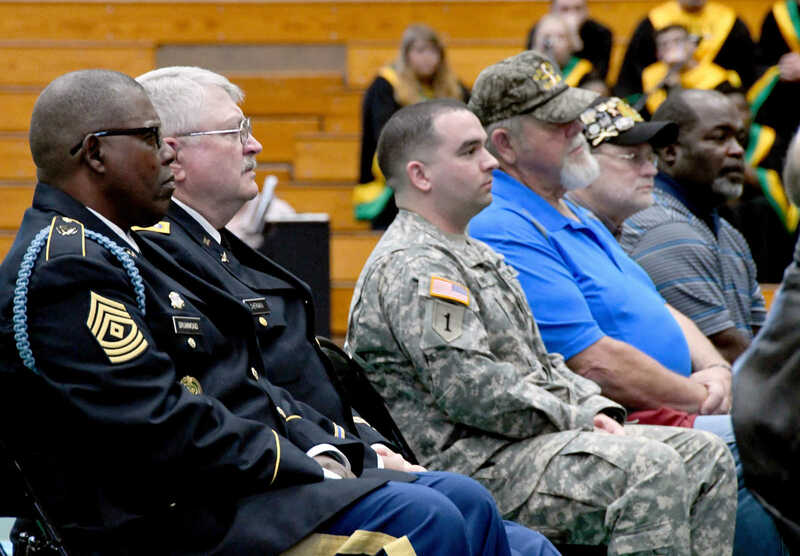 Veterans from the Army, Navy, Marines and Air Force were honored during Monday's Veterans Day event. 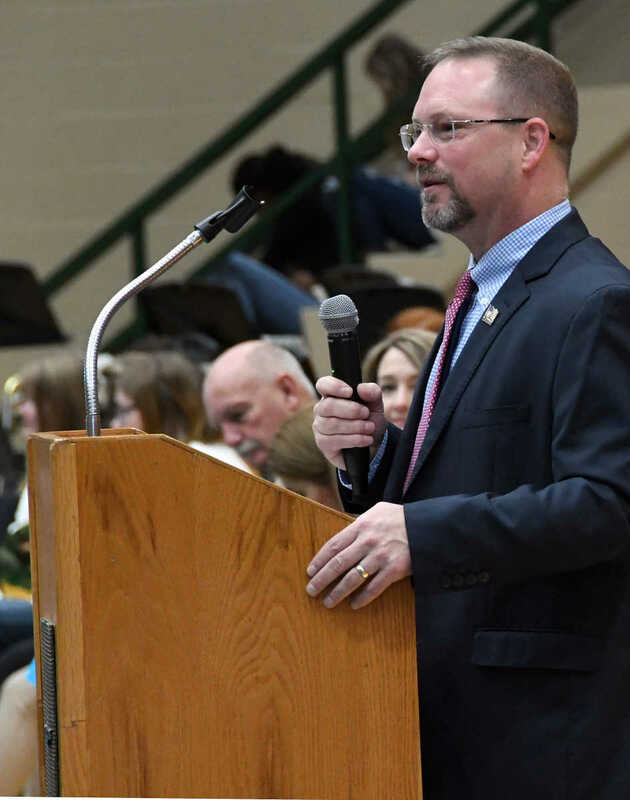 Local veterans were honored Monday morning during a special Veterans Day program at New Madrid County Central High School. The event was organized by the NMCC National Honor Society. 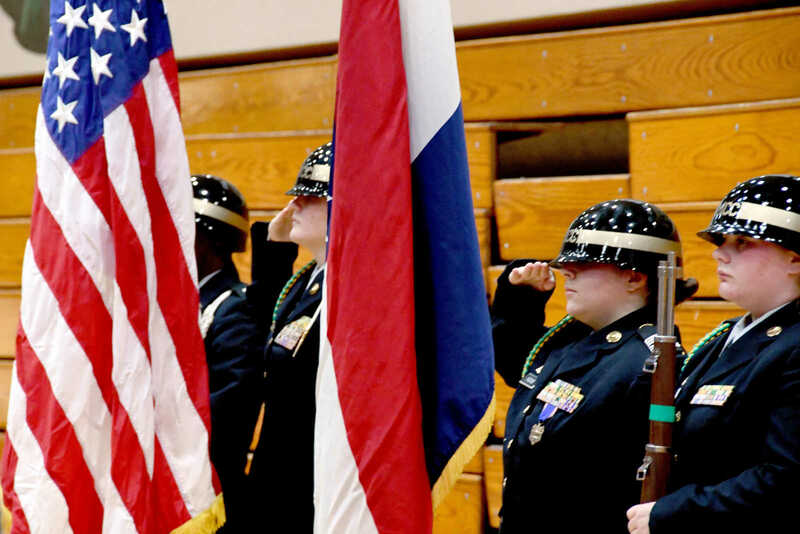 Members of the high school JROTC program salute the flag after posting the colors for the New Madrid County Central High School's Veterans Day ceremony. 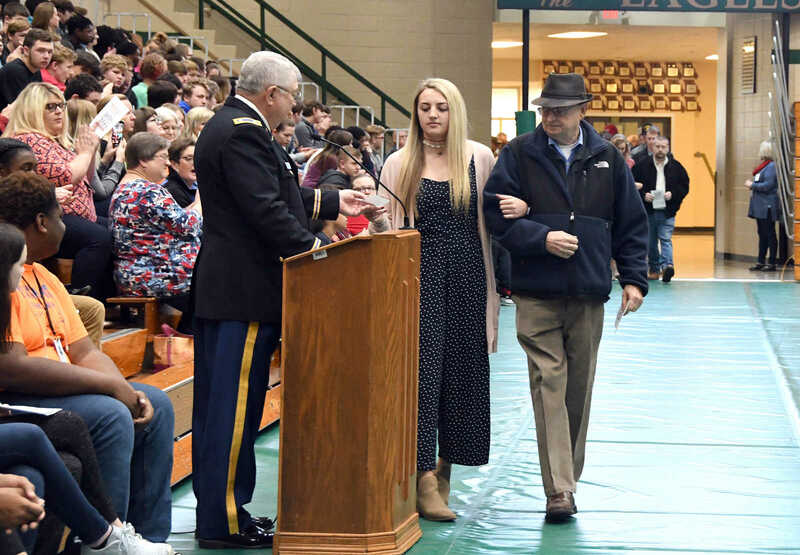 Current and former members of the military were honored at the New Madrid County Central High School's Veterans Day ceremony Monday morning. Among those attending were (from left) Thomas Drummond, Richard Sherman and Anthony Harris.